This past summer, I decided to try growing my own fresh herbs on my patio. I was quite successful and am hoping to keep them alive indoors now that the temperatures are starting drop (or they should be once this warm spell is over). Once I realized my herbs were thriving, I went on a search for recipes that used them. 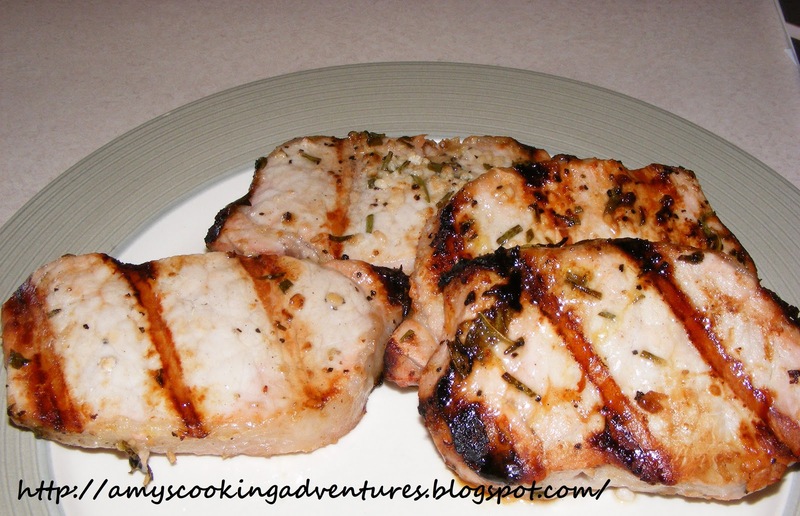 These pork chops ended up being one of my go-to recipes during grilling season. They are very flavorful and enjoyed by all. If you marinate a few extra, these are a great addition to a salad the next day! Whisk together lemon juice, olive oil, rosemary, basil, garlic, and pepper. Place pork chop in a gallon ziplock bag. 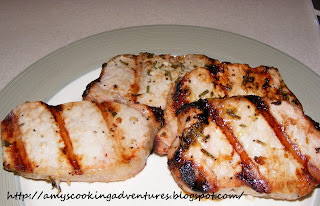 Pour marinade over pork chops. Seal and refrigerate at least 4 hours or overnight. Turn occasionally. 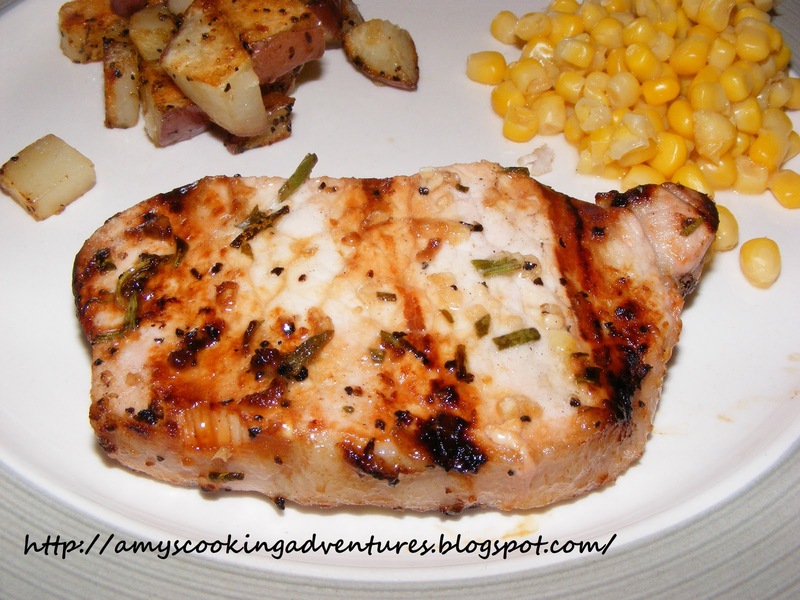 Remove pork chops and grill over low heat until fully cooked. Reserve marinade to brush on chops while cooking. Made these pork chops last night, along with grilled corn on the cob. The flavors were delicious. I made them the night before so that they had lots of time to marinate and really soak up the flavors.